Recently I was at a convention and met several people I have admired from afar. I was also able to renew a few old acquaintances. 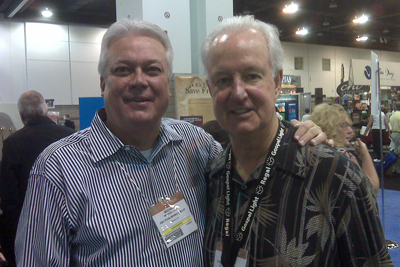 Pat Williams, best-selling author, motivational speaker, and co-founder of the Orlando Magic, and I were able to catch up. I love Pat because he’s a leader, and he can give you a thousand quotes off the top of his head. Plus, he always has time for you. 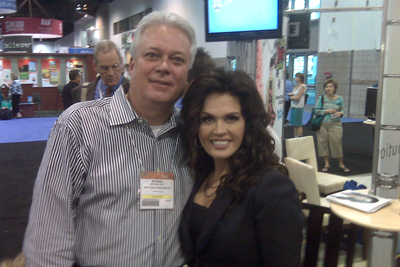 I also met Marie Osmond. For a while, I watched her interact with the crowd from a distance, then her manager approached me. He had seen me at an event the night before and came up to compliment me on what I said. As we were talking, he told me he had been Marie’s manager for over thirty years. Since Donnie and Marie are almost my age, I grew up listening to their music and watching their TV show. I got the opportunity to talk to her for about ten minutes, and we had a very pleasant conversation. 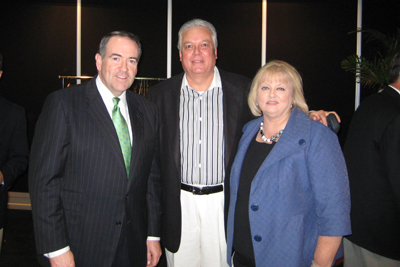 A month before, I was able to meet and spend a few moments with Mike Huckabee backstage at the Southern Baptist Convention Pastors’ Conference. He is a genuinely nice guy, and I wish he was the president. He has qualities similar to Ronald Reagan. What do all three of these people have in common? They are personable and engaging. They give you direct eye contact. They listen to you as if you are the only person in the room. With distractions all around, they are focused on you alone! I’ve met folks who were far less popular or famous who always seemed distracted. They’ll look over your shoulder or their eyes will wander around the room to see if there is someone else they need to talk to. Pat, Marie, and Mike all looked me straight in the eyes as we talked. They were all engaging, warm, and gracious. Three totally different people with three totally different backgrounds, but one common denominator: kindness. They were others-centered. 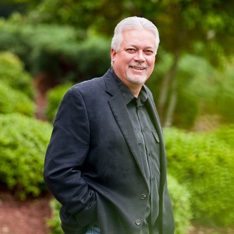 Galatians 6:10 says, “Let us do good to all people…” The Secret of Christian joy might be defined as “others first.” We are too self absorbed in our Americanized Christianity. Church is about me when it’s supposed to be about Him. We text and talk because we can’t focus for one hour on the living Lord of heaven. The reason people covet wealth, crave power, and pursue pleasure is because they are focused on themselves. Ego is the enemy of joy. Ego never considers others. The flesh is first and foremost self centered. Being others-centered will work when you don’t have fame, money, or power. I’ve met people in all walks of life—some saved, some religious, some not saved—whom I’ve found to be engaging, warm, and genuine. Unfortunately sometimes I run into Christians who are not as kind as some of the lost people I’ve met. If we are others-centered the lost will receive us and respect us because they will see Jesus in us. The truth is that sinners loved Jesus, but religious people hated Him. Servants of our Savior should be others-centered. Only when we move from self to others will we find fulfillment and favor. A life that is always getting and never giving is like the Dead Sea. Jesus said, “Except a grain of wheat fall into the ground and die, it abides alone” (John 12:24). Self preservation and self serving will lead to loneliness. Self centered people love to talk about themselves, but others-centered people always find a way to walk slowly through the crowd.